Long Islanders who lost their homes or suffered extensive property damage in Hurricane Sandy may qualify for help from the Internal Revenue Service. Long Islanders who lost their homes or suffered extensive property damage in Hurricane Sandy may qualify for help from the Internal Revenue Service. But the tax code is complex and not everyone will be eligible to claim deductions. The I.R.S. 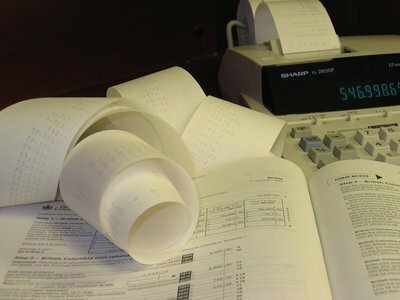 has provided a workbook, Publication 584, to help filers determine what deductions they may qualify for as a result of major loss from a casualty. For those who are eligible, losses can be deducted only if they are more than 10 percent of a taxpayer’s adjusted gross income plus $100, and the deduction only applies to uninsured losses. Any insurance payments must be deducted from the loss, making those without flood insurance more likely to qualify. Additionally, the value of destroyed property is not calculated by what it was worth when it was new or by what it would cost to replace, but by what it was worth immediately preceding the storm. For other damaged property that does not lose as much value over time, the casualty loss could equal the cost of the repair. Payments from the Federal Emergency Management Agency for home repairs or replacement must also be deducted, while other FEMA payments, such as for food or temporary housing, are not required to be deducted. Unlike homeowners, there is no deduction of 10 percent of income for those who suffered damage to or loss of business or investment property; however, any depreciation claimed in previous years does factor in. Owners of vacation homes and property rentals may also be eligible to claim casualty losses. For taxpayers who qualify, losses are dependent upon their tax bracket; they are not deducted dollar for dollar. Losses also reduce state and city income taxes. To help business owners navigate the process, the federal Small Business Administration has provided information about tax and financial opportunities to assist them in recovering from Sandy and to help them to prepare for the future. Experts recommend that taxpayers request an automatic extension of the April 15 tax deadline if they are still awaiting insurance claim resolutions and are unsure if they have a deductible casualty loss. They also advise taxpayers whose income fell dramatically in 2012 because of the storm to consider using casualty loss deductions to reduce their 2011 income by filing an amended tax return. The deductions would be more valuable against their higher 2011 income. For those who lost an entire year’s income because of the storm, losses can be carried as far back as three years on amended tax returns to reduce previous years’ taxes; or they can be carried forward for up to 20 years, reducing future taxable income. Calculations for property casualty loss are made on I.R.S. Form 4684, and carried over to Schedule A on Form 1040 where they are itemized. Please share your comments and concerns below or on our Long Island Discussion Forum. Subject: LongIsland.com - Your Name sent you Article details of "IRS Hurricane Loss Deductions Provide Both Complications and Relief"